There’s some news out of Australian psych rock gods Tame Impala’s camp, and although the band haven’t announced a new album just yet, one member will be dropping a solo record this Friday, March 10. Multi-instrumentalist Cameron Avery (who’s also known for his work with the band Pond) is touring the U.S. and Europe in support, and a Nashville stop at The Basement is just around the corner, March 14 to be exact, with Lylas, and Chase Cohl filling in the opening spots. Tickets are currently available right here, but we’re also giving away a pair of tickets, so click on after the jump for more info on the performers, and enter for your chance to win! Hailing from Fremantle, in Western Australia (sometimes called the Port of Perth) Cameron Avery got his start in music at the age of sixteen, learning to play guitar and starting to write songs by seventeen. Soon he was becoming a fixture in the growing Perth music scene, and he became fast friends with Kevin Parker, the frontman and creative force of Tame Impala. The two became roommates, and while Kevin was tinkering with his own ideas, Cam became a founding member of Pond, which would play in support of Tame Impala, plus other big names like Jake Bugg. In 2013, Tame Impala had some line-up changes, and Avery joined full-time, leaving Pond in the process (all the members of the various bands in the Perth scene still consider each other friends). For the last four years he’s been with TI, but he’s never stopped writing his own stuff in his free time. Now, signed to ANTI-, Mr. Avery is very happy to release his latest solo offering, Ripe Dreams, Pipe Dreams this Friday, March 10. Enjoy a sample of his experimental blues/folk below, cop the record Friday, and check Avery out live and in person at the original Basement March 14! Local folk leaning indie rock outfit Lylas (not to be confused with Bruno Mars’ sisters’ group The Lylas) have been generating buzz around town for several years now, and especially on the heels of their recent release, Warm Harm. Not afraid to dabble in the realm of psychedelia as well, the band have been playing together for a while now (we’ve covered them before), and the genre-bending sound they’ve cultivated is one we look forward to experiencing again in person. Don’t miss your chance to catch yet another rising local group on the cheap. You can thank us later. Canadian songstress Chase Cohl writes pop songs with a nice folk flair, and if you’re not familiar with her work, go ahead and get acquainted the 14th. There’s not a ton of stuff online for her, but according to her Facebook page, a debut record called Coyote Nights is coming soon. Keep an eye out for more info, and be sure to get to the venue on time to catch her live. It’s always great to discover something new! Enter to win tickets by filling out the form below. Must be 21+ to attend. After you have entered, there will be the option to share this contest via social media. For each person that you refer to the contest, you will receive an additional entry. If you experience any trouble with the contest widget, or have any questions, feel free to email us at [email protected]. Winner will be announced Monday, March 13 at 12 p.m. CST, and will receive one pair of tickets. Good luck! Win Tix to Cameron Avery at The Basement! 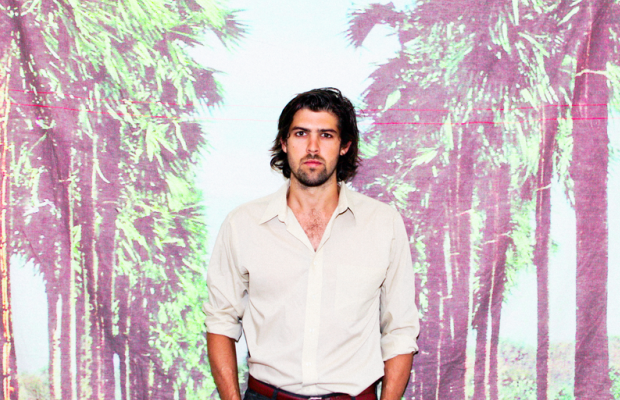 Cameron Avery, Lylas, and Chase Cohl will perform Tuesday, March 14 at The Basement. The show is 21+, begins at 8 p.m. (doors at 7:30 p.m.), and tickets are available to purchase for $10.